Arizona-based artist Sandhi Schimmel Gold creates a very unique art from the everyday waste delivered to her mailbox. 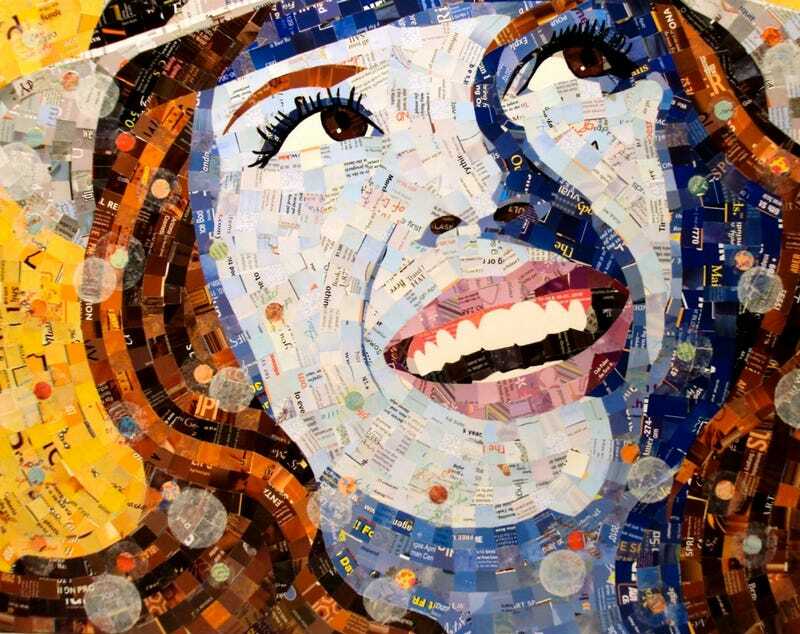 Her "recycled art" is a form of papier collé — a French painting technique defined as a "collage made of only paper glued onto a painting." For a step-by-step description of how the mosaics are created, click here. Sandhi also blogs about the pieces she creates on her personal blog, which is filled with her work, stories, and inspiration for her craft.